The relay satellite for the Chang'e-4 lunar probe, which is expected to land on the far side of the Moon at the end of the year, has entered the planned orbit, the China National Space Administration (CNSA) announced Thursday. China is planning to launch its Chang'e-4 lander and rover spacecraft to the far side of the Moon in December, a top scientist in the country's lunar exploration programme has said. Wu Weiren, a chief designer of the China Lunar Exploration Project (CLEP), told Chinese state media that following the arrival of a prerequisite communications relay satellite in a special orbit beyond the Moon, the focus is now on preparations for the landing portion of the pioneering Chang'e-4lunar far side mission. "Now our focus is to ensure that the Chang'e-4 lunar probe's successful launch and we initially scheduled the launch in December," Wu told CCTV+. 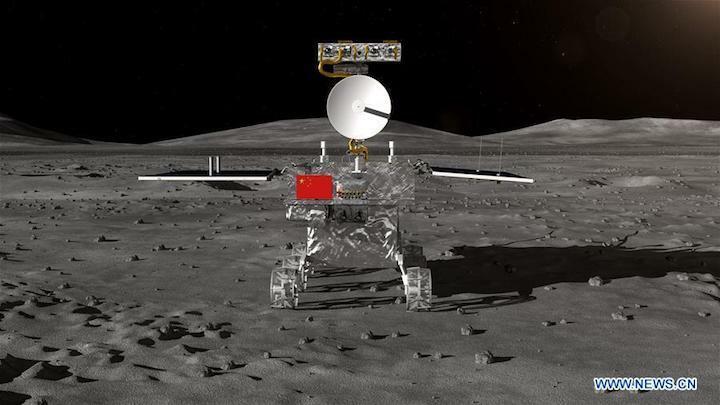 Chang'e-4 is the backup to the Chang'e-3 Moon landing mission that put the Yutu (Jade Rabbit) rover on Mare Imbrium on the near side of the Moon in late 2013, marking the first soft lunar landing since 1976. The lander and rover in March went through thermal vacuum tests — the last of a range of space environment tests which began in January — which the Chang'e-4 spacecraft need to pass before they can leave the Assembly, Integration and Testing (AIT) Centre. Temperatures on the Moon's surface can reach up to around 120 degrees Celsius during sunlight, and as low as -170 degrees Celsius during the lunar nights. 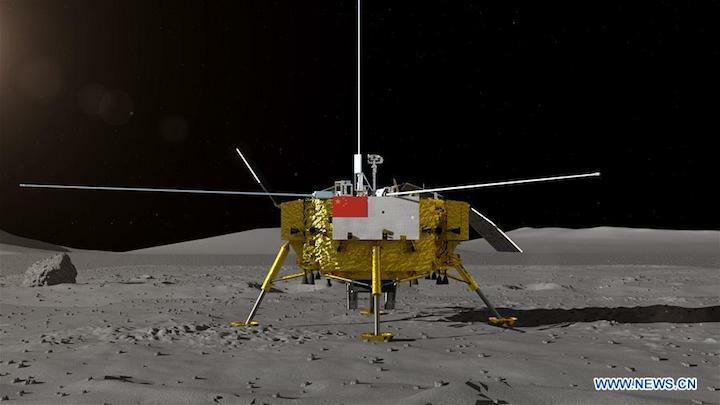 The harsh lunar environment also poses other challenges, including fine, abrasive dust, which Brian O'Brien, adjunct Professor at the University of Western Australia, believes was the cause of the immobilisation of China's Yutu rover in January 2014. Despite the mobility issue with Yutu, which saw it travel just 114 metres before suffering an anomaly, Chang'e-3 brought fascinating science discoveries, including a new kind of rock and lunar layers. The landing area will be within the scientifically intriguing South Pole-Aitken Basin, a huge impact crater on the far side of the Moon, which could contain exposed lunar mantle. While some candidates including the Von Kármánimpact crater have been noted, the precise landing site has not been publicly released. Together, the two segments of the Chang'e-4 mission carry four international payloads, including NCLE on Queqiao and a camera made in Saudi Arabia carried aboard the Longjiang-2 lunar microsatellite, which last week returned stunning images from lunar orbit. Chang'e-3 and Chang'e-4 form the second phase of China's original lunar exploration project, which kicked off in the early 2000s. The orbiting phase was completed by Chang'e-1 (2007) and backed up by Chang'e-2 (2010). The third and final phase will be sample returns, first with Chang'e-5 in 2019, should the Long March 5 rocket be proven ready for flight later this year. Beyond this, China is planning to expand its sights to the polar regions of the Moon, with the aim of establishing a 'research station' through a series missions across the next decade. Crewed missions to the Moon could begin in the 2030s, following the development of a new crewed spacecraft and the Long March 9, a super-heavy-lift launch vehicle comparable to the Saturn V which sent NASA's Apollo missions to the Moon. A shortlist of ten names has been revealed for the Chang'e-4 lunar far side rover following a public call and contest to solicit names for the pioneering Moon mission. 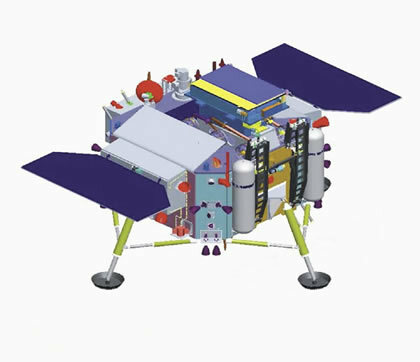 Chang'e-4 is a repurposed backup to the 2013 Chang'e-3 lander and rover which soft-landed on the near side of the Moon. 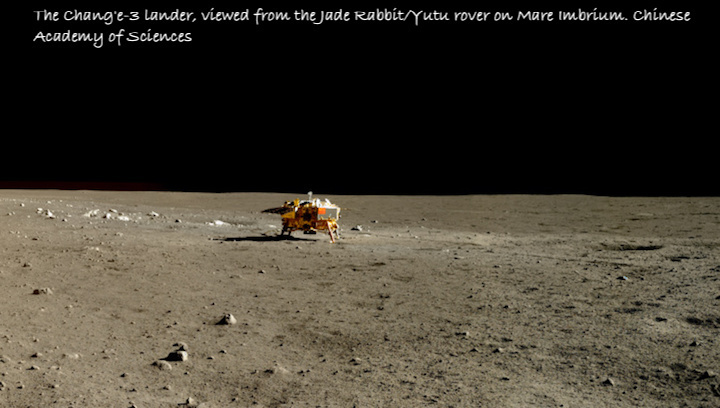 The China National Space Administration (CNSA) opened a public competition in August to give a name to the mission rover, just as it did for Chang'e-3, which saw it named Yutu (玉兔, or 'Jade Rabbit'), the animal companion to the mythological Chinese goddess of the Moon, after which the Chinese robotic lunar missions are named. Launch of Chang'e-4 will take place at the Xichang Satellite Launch Centre in December, with a Long March 3B rocket to send the spacecraft into trans-lunar injection. 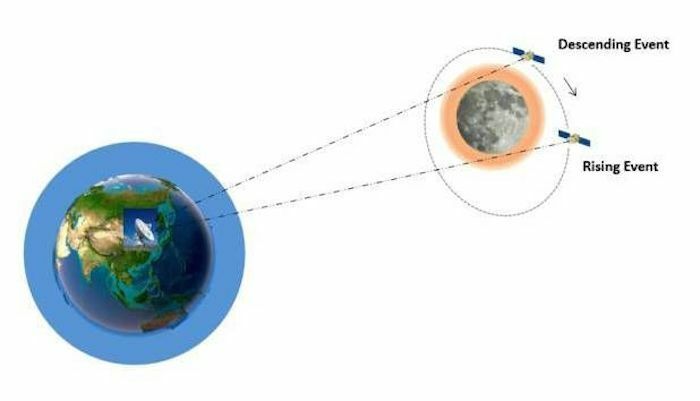 In May a satellite named Queqiaowas launched towards a special point beyond the Moon, at which it entered a halo orbit that allows it to have line-of-sight with both the Earth and far side of the Moon at all times and thus act as a communications relay for the Chang'e-4 mission. Chang'e-4 lander and rover will also carry cameras similar to those used by Chang'e-3 to return astounding images from Mare Imbrium, a vast lava plain within the Imbrium Basin on the Moon. See our Chang'e-4 feature for the latest news and background on the lunar far side mission.